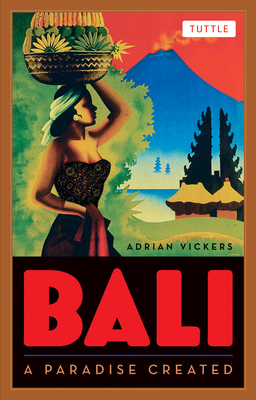 The Island of Bali--a true paradise is explored in this classic travelogue. From the artists and writers of the 1930s to the Eat, Pray, Love tours so popular today, Bali has drawn hoards of foreign visitors and transplants to its shores. What makes Bali so special, and how has it managed to preserve its identity despite a century of intense pressure from the outside world? Bali: A Paradise Created bridges the gap between scholarly works and more popular travel accounts. It offers an accessible history of this fascinating island and an anthropological study not only of the Balinese, but of the paradise-seekers from all parts of the world who have traveled to Bali in ever-increasing numbers over the decades. This Bali travelogue shows how Balinese culture has pervaded western film, art, literature and music so that even those who've never been there have enjoyed a glimpse of paradise. This authoritative, much-cited work is now updated with new photos and illustrations, a new introduction, and new text covering the past twenty years. Adrian Vickers is Professor of Southeast Asian Studies at the University of Sydney, where he is Director of the Australian Center for Asian Art and Archaeology. His numerous works include Peradaban Pesisir (Coastal Civilisation, 2009), Journeys of Desire (2005], and A History of Modern Indonesia (2005). His curatorial work includes the exhibition Crossing Boundaries: A Window into Twentieth-Century Indonesian Art (2002-3) and I Nyoman Mandra: A Retrospective (2009).